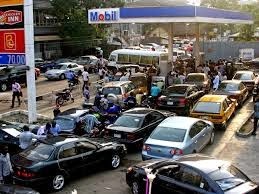 The three-day warning strike embarked upon by workers in the oil and gas sector has led to the reemergence of petrol queues in Abuja, as consumers rushed to stockpile on petrol in anticipation that the industrial action could stretch into weeks. However, the Nigerian National Petroleum Corporation (NNPC) assured the public that it had adequate stock of petrol and advised Nigerians not to engage in panic buying. NNPC, in a statement from its Group General Manager, Public Affairs, Ohi Alegbe, stated that the strike embarked upon by the Petroleum and Natural Gas Senior Staff Association of Nigeria (PENGASSAN) and National Union of Petroleum and Natural Gas Workers (NUPENG) would not dislocate the robust distribution and sale of fuel to members of the public. The corporation said it was in talks with the leadership of the unions, who had promised that they would not disrupt fuel supply and distribution, as the strike was aimed at addressing anti-labour issues by some of the International Oil Companies (IOCs). NNPC said its downstream subsidiary, the Pipelines and Products Marketing Company (PPMC), has over 32 days stock of petroleum products available for supply across the nation during the yuletide season and beyond. Disclosing that 17 additional petroleum laden vessels were at the Lagos ports, waiting to discharge at the various depots for onward distribution to the public, NNPC added that everything was being done to ensure that there was no hitch whatsoever in fuel supply that could bring any form of hardship to motorists and those who intend to travel during the period. The corporation advised the public to avoid panic buying or stockpiling of petroleum products, as this could lead to needless queues or cause fire accidents and the loss of lives and property. It also warned marketers not to hoard or divert petroleum products, as any marketer caught in the act would be sanctioned.